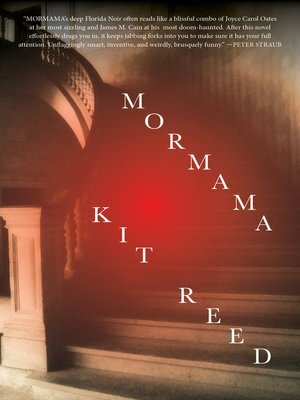 MORMAMA is a riveting supernatural, southern gothic tale from Kit Reed, the author of Where. Dell Duval has been living on the street since his accident. He can't remember who he was or where he came from. All he has is a tattered note in his pocket with an address for the Ellis house, a sprawling, ancient residence in Jacksonville. He doesn't know why he's been sent here. In the house, Lane and her son Theo have returned to the ancient family home—their last resort. The old house is ruled by an equally ancient trio of tyrannical aunts, who want to preserve everything. Nothing should ever leave the house, including Lane. Something about the house isn't right. Things happen to the men and boys living there. There are forces at work one of which visits Theo each night—Mormama, one mama too many.